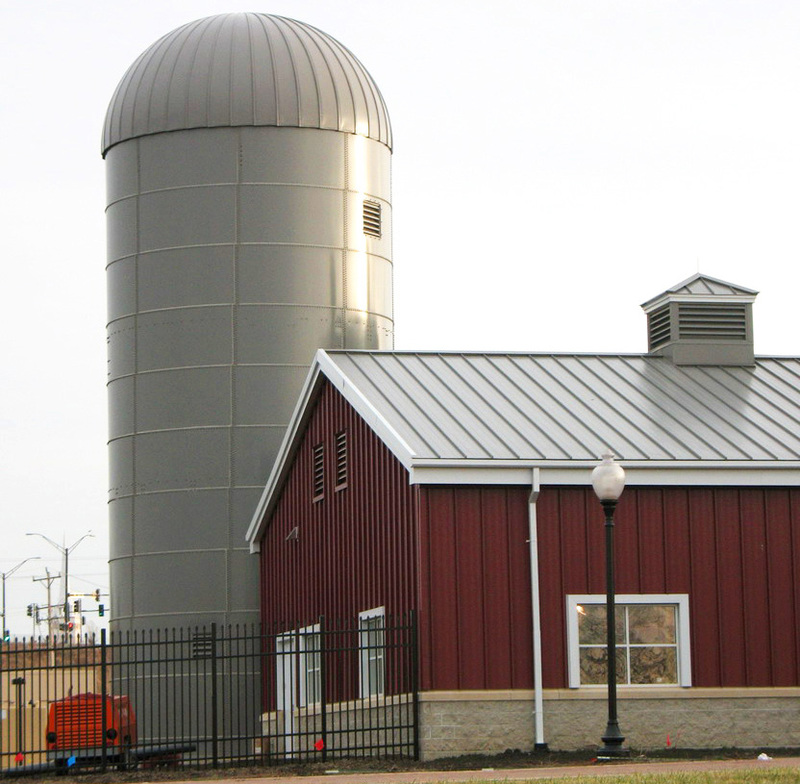 Aquastore®, TecStore® and Weldstore® tanks are manufactured by CST Storage of DeKalb, IL with over 50 years experience producing bolted storage structures. Aquastore and its sister product, Harvestore®, are recognized world wide for their distinct cobalt blue color, high quality and unparalled length of service. CST tanks are distributed through a network of authorized dealers across the Western Hemisphere. Each dealer is factory trained in every aspect of tank specification, design and construction. This provides for a unified supplier of products and services which ultimately benefits the end user. All warranties expressed or implied are strictly those of the manufacturer. 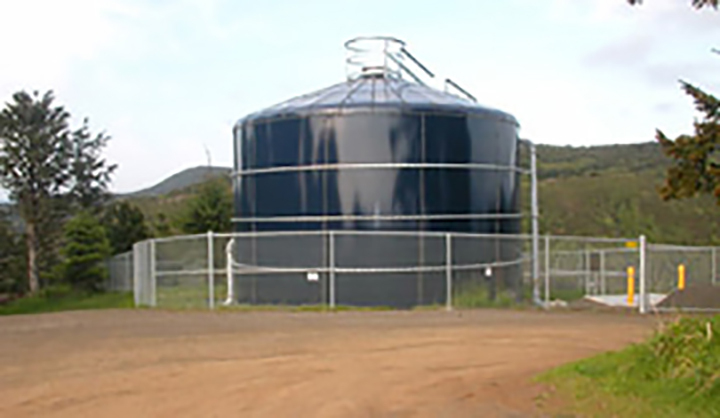 The Aquastore® line of storage tanks is a Glass-Fused-to-Steel bolted steel tank that meets AWWA D-103, ANSI/NSF Standard 61, AISC, FM codes and NFPA Standard 22. It is the best choice for long term, minimal maintenance potable water, fire suppression water, wastewater, and landfill leachate applications. The glass coating is factory applied at a thickness of 6-11 mils on the interior and exterior surfaces, and the process actually mechanically and chemically bonds the coating to the steel. Glass-fused-to-steel is impermeable to liquids and vapors, controls undercutting caused by corrosion, is extremely UV-resistant, and offers excellent impact resistance. Glass-fused-to-steel is twice as hard (6.0-7.0 Mohs) as any field-applied coating system and has a bond rating 12.5 times stronger than any zinc-epoxy-urethane system (5000 PSI). Before the glass coating is applied, the edges of the steel sheets are plasma coated with stainless steel oxide, called the EDGECOAT™ system. The process which mechanically rounds the edges then flame coats the edge with stainless steel prior to glass coating. The glass coating is graffiti-proof and does not fade. The proprietary glass formulation contains cobalt oxide which chemically bonds to the inside and outside of the steel panels when fired in a furnace at 1600ºF. The bond strength of the silica glass finish has been found to be more than 10 times greater than other factory or field applied epoxy paint coatings. The interior of all potable water tanks feature a special glass coating that has been enhanced with titanium dioxide to add even greater toughness to the glass. For elevated storage and the lowest maintenance possible, Cady Aquastore offers the Aquastore Composite Elevated Tank design. Combining the best coating, rapid construction and turnkey design, the cost of an Aquastore composite elevated tank is typically less than conventional composite construction. But that’s only the initial savings. Without future repainting cycles necessary with welded composite tanks, long term maintenance costs are kept to a minimum with the Aquastore Composite Elevated Tank. 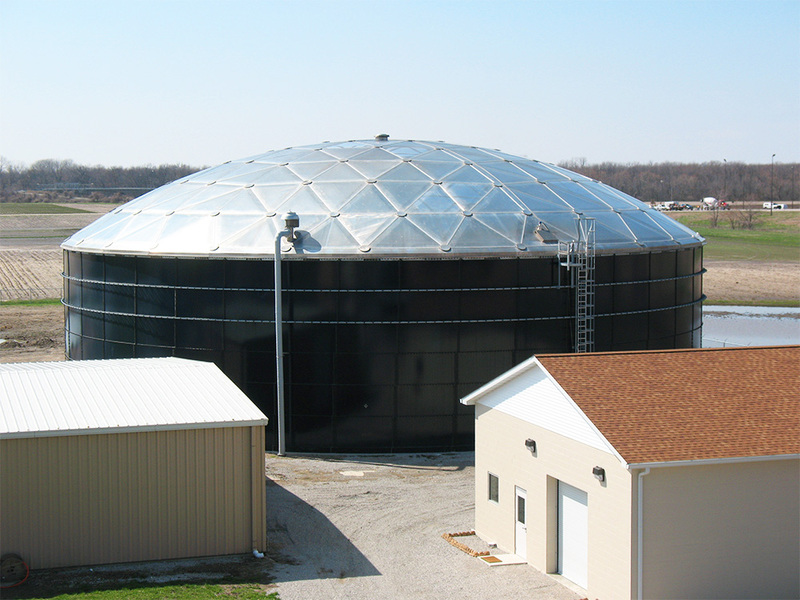 The bottom line is that an Aquastore composite elevated tank is the best price-to-performance product in the market, and total life-cycle costs are significantly lower than those for competing forms of elevated water storage. The access ladder to the top circumferential walkway is located on the inside of the pedestal creating a more secure, no-wind climbing environment. 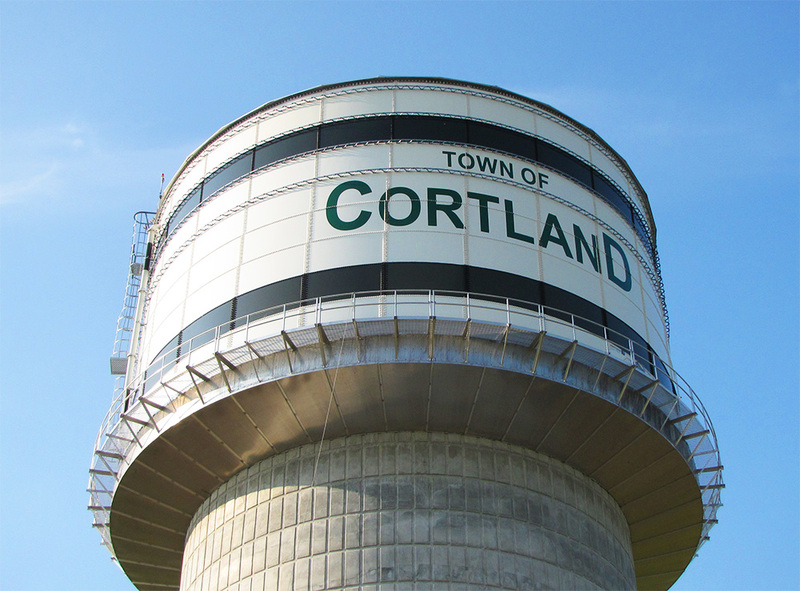 In many locations, water tanks are vulnerable to graffiti and vandalism. Our concrete pedestal is a major deterrent to vandals. The access ladder, intake piping, overflow, even a pump station and telemetry equipment can be housed inside the pedestal and a security door is the only method of access to the interior of the column and the tank. The TecStore® line of storage tanks is a bolted steel tank offered in epoxy coated steel, 304 & 316 stainless steel, and galvanized steel. The TecStore® tank meets ANSI/NSF Standard 61, AISC, FM codes and NFPA Standard 22. Identical in lap bolt design to the Aquastore tank, TecStore® tanks offer factory-applied coatings with leak-free construction. The proprietary epoxy coating system is applied in factory-controlled conditions, which offer greater longevity and corrosion resistance than a field applied coating system. Before the epoxy coating is applied, the edges of the steel sheets are plasma coated with stainless steel oxide, called the EDGECOAT system. These tanks are intended for use in industrial and commercial liquid storage applications and are available in a wide range of capacities and sizes. Cady Aquastore introduces Weldstore standpipes for water storage, perfect for factory controlled fabrication and quick delivery for capacities of 100,000 gallons or less. Designed to AWWA D100 and NSF 61, Weldstores are available epoxy coated, 304 stainless steel and 316 stainless steel. Typical lead times are just 12 weeks to delivery. Standard diameters are 6′ through 14′ in one foot increments with a maximum overall height of 85′ per one piece tank. Tanks can be designed with pre-fab nozzle penetrations and up to two (2) manways. 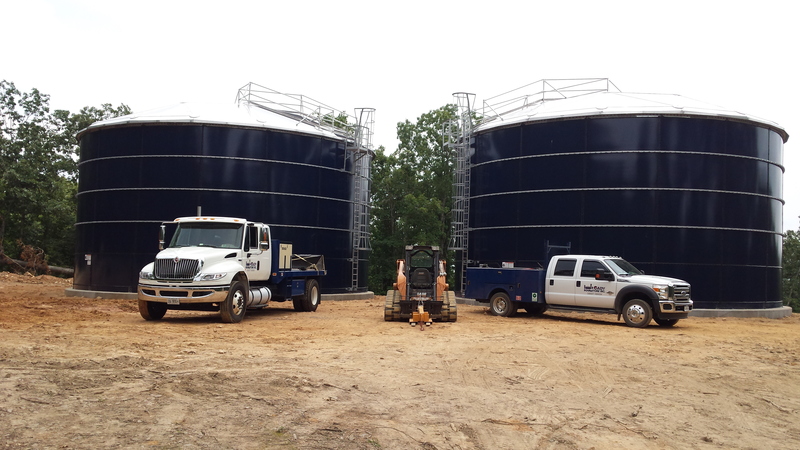 We offer 6′-12′ diameter shop welded tanks in heights to meet your needs. 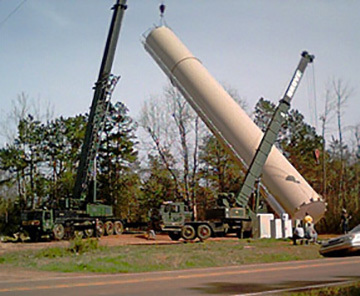 The tanks can be fabricated from carbon steel (with a variety of paint coatings), stainless steel, or aluminum. Tanks with diameters of 31 feet and less use prefabricated and pre-coated steel sheets for a “knuckle” roof design. These sheets can be coated to standard white or to match the tank sidewalls. The ‘knuckle’ roof is designed to AWWA D-103 or greater and is self-supporting, clear-span and has no support columns or beams. Provide optimum protection for any storage system with an aluminum dome from Cady Aquastore. Cady Aquastore markets aluminum domes from the worldwide leader, CST Covers. CST Covers designs innovative clear-span aluminum domes that achieve regulatory compliance and new levels of cost efficiency. Talk to Cady Aquastore about the right cover for your storage system.